Thank you for your generous support of the College of Education! Please fill out the following form, making sure to complete all necessary fields. Once you have filled out the form completely and submitted it, you will receive a confirmation email notifying you that your order has been received. Please enter the text you would like to appear on your 4"x8" commemorative brick. 3 lines, 14 character limit. Please note that spaces, comas, periods, and other special characters count towards the character limit. Please enter the text you would like to appear on your 12"x12" commemorative brick: 9 lines, 21 character limit. Please note that spaces, comas, periods, and other special characters count towards the character limit. 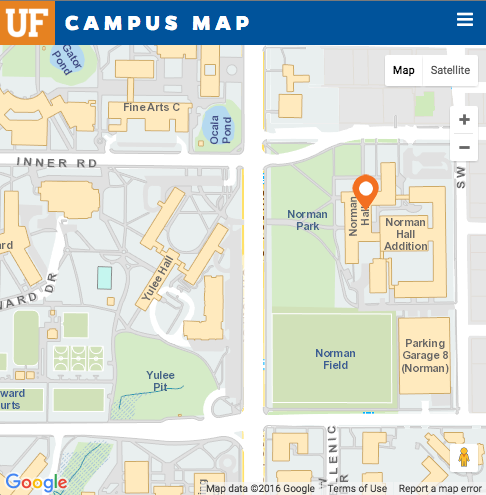 Your Certificate of Appreciation & Locator Map will be mailed upon installation of the Norman Hall Plaza. * The UF College of Education reserves the right to refuse any inscription deemed unsuitable. If you wish, you may print out this form and mail along with your payment to the address listed above.